As many skincare products I've tried in the world of Asian beauty, I'd never really tried anything meant for my hair. Sure, I've gotten hair masks in the past, but I've always passed them on to friends who I thought might enjoy them more than me, because I have such short hair. A few months ago Memebox (my go-to source for k-beauty) acquired a nice chunk of the Lador haircare line - enough (and cheap enough as well, I might add) for me to drop my current mediocre finds and pick up a few items. One of them being the Lador Scalp Scaling Spa. Now, to be clear, this is not a foaming scalp scaler of any kind - because that was my first hope thought. But this product actually turned out to be a must-have for my current head situation, so I hope, even if this was your first thought too, you'll keep reading anyway. The Lador Scalp Scaling Spa is an at-home spa treatment for your hair and scalp. The health of your hair from the roots to the tips is directly connected to the health of your scalp - this includes (but is not limited to) hair loss and even your hair turning grey. This treatment contains ingredients like green tea, camellia, ginseng, and salicylic acid that are great for detoxifying, clarifying, and healing your skin/scalp. The treatment comes in a 15ml plastic tube with a twist-on/off cap. 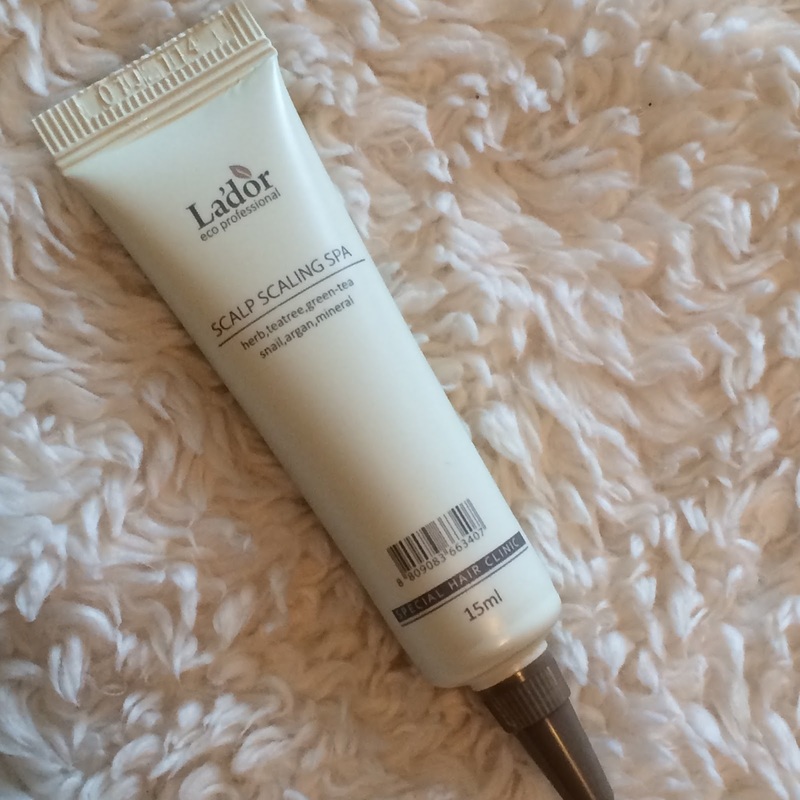 You may or may not use the entire tube in one use, depending on your hair length. It is white in color with tiny "bubbles" in the cream, and has a fresh minty/menthol scent. With my super-short hair and half-shaved head, I use 1/2 of the tube at a time. I have mild psoriasis on my scalp, so I experience dryness, itchiness, and flaking year-round, as well as some other "fun" effects... 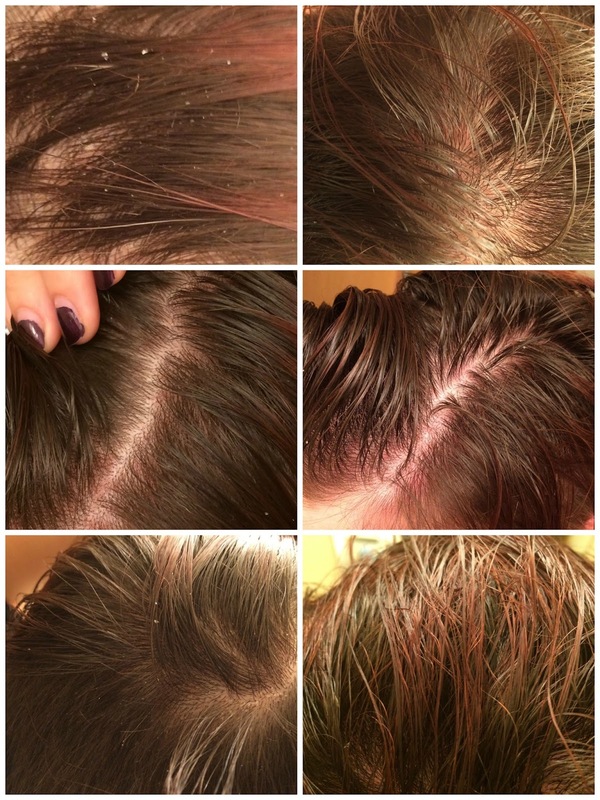 I'm always searching for something better to keep my scalp looking and feeling better. 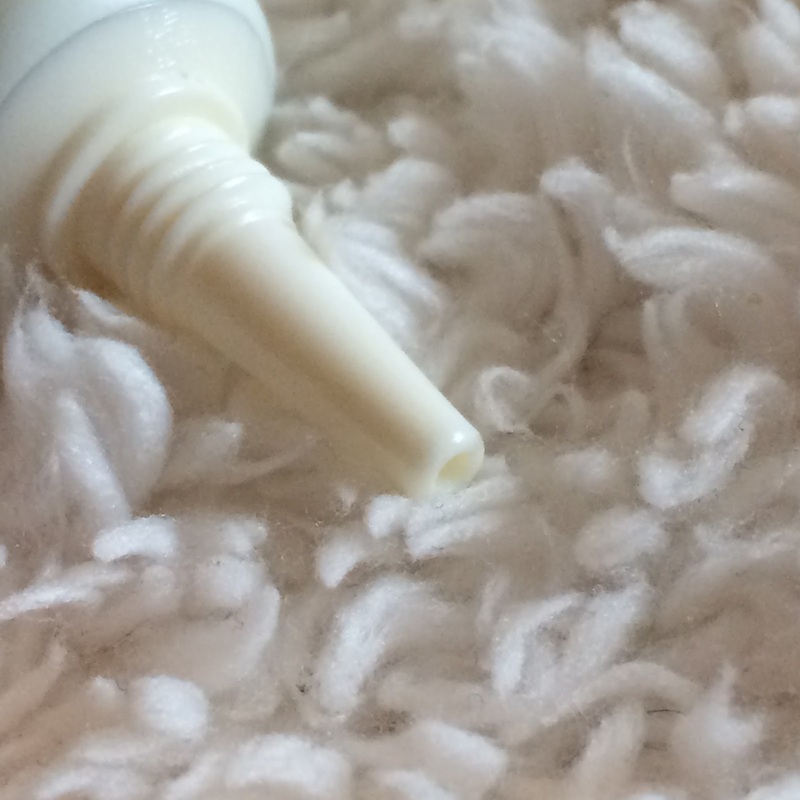 After shampooing and towel-drying my hair, I squeeze the cream out of the tube and use the small nozzle of the tube to get it right up against my scalp, and apply it all over in a zig-zag motion. Once I've used half the tube, I replace the cap and start massaging the treatment around my scalp with my fingertips - you will feel a cooling sensation that is mild, but very soothing if you have an itchy scalp like I do. Once you feel that your scalp is covered in the treatment, you can start working it down to the tips of your hair - if you have longer hair, this is where you will use the remainder of your tube. Once fully massaged into my hair, I leave the treatment on for 5 minutes. I rinse with cool water, and towel dry. Because this treatment is hydrating, I do not have a need for conditioner afterwards with my short hair, but if you have longer or dryer hair than I do, you may need to continue on with a regular conditioner afterwards. The hydration and combination of ingredients in this treatment are perfect for me to loosen up dead skin from my scalp, and after allowing everything to soften up and the treatment to absorb better, I'm able to rinse away most of my issues. I'm left with hair that is softer, shinier, full of body, and most importantly - a scalp that is soothed and hydrated. The effects of this treatment last about 3-5 days for me depending on the weather and how bad my psoriasis is. I purchased this product from Memebox USA*. Im planning to buy their hair kit themed box soon. Thank you for this helpful reviews.